Head of the Water Authority, Eng. Mazen Ghoneim, met the Joint Services Council for south-east of Nablus today, to discuss the needs of these regions and the procedures of the Water Authority to assist in the improvement of water service. Where the meeting addressed a number of issues raised by the Council of Services, the request to increase the amount of water provided to YATMAA , and take advantage of one of the water points, and that if a water line installed it becomes possible to utilize the water quota allocated to improve the situation, particularly in the village of Qaryut, which suffers from severe water shortages. The meeting discussed the issue of the Council for the establishment of a joint water council for the 11 villages covered in the water system, which was established with support from the German Government two years ago. In this regard, Minister Ghoneim stressed that the establishment of the council includes all areas that benefited from the water system is an imperative, clear and detailed, stressing the need for all parties to cooperate and join forces in order to provide the necessary services in the best manner. 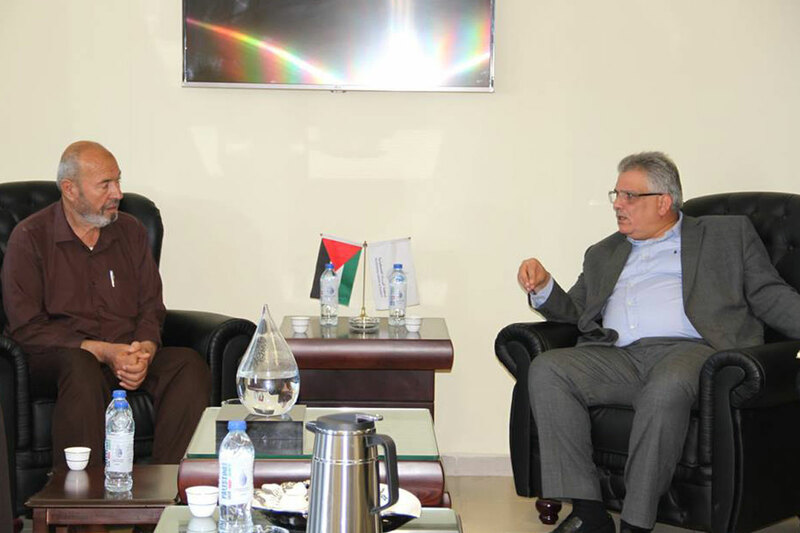 During the meeting, Minister Ghonaim also stressed the importance of the Council's role in the case of violations and thefts which have exacerbated and led to the loss of quantities of water allocated to the people of the region which resulted in the interruption of water and deprivation of them for periods. Which requires rapid and effective action and continue to deter aggressors and convert them to the relevant authorities for legal action.